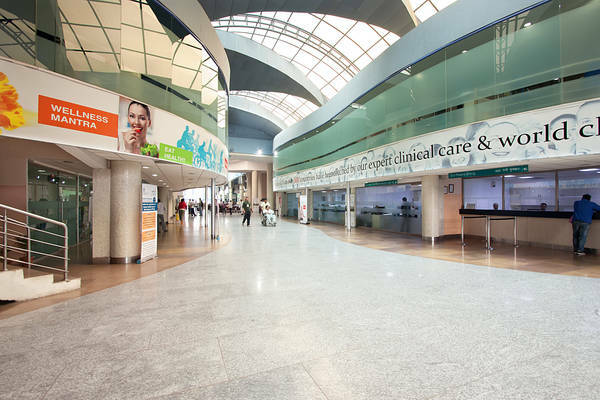 Indraprastha Apollo hospital New Delhi is one of the biggest corporate hospitals in the world. It is also number three among the tertiary care, super specialty hospital set up by the Apollo Group, in collaboration with the government of New Delhi, which is the capital of India. The hospital was launched in 1996 by Dr. Prathap. C Reddy. He is the founder of The Apollo group which is the largest healthcare chain in India. Indraprastha Apollo hospital New Delhi is the second largest hospital in Delhi. It is an over 700 bed hospital with potential expansion in future to 1000 beds. The motto of the hospital is “ Medical Excellence with a Human Touch”. Today, the Apollo hospital group is reputed to be the ‘ architect of health care in India’. It has a history of unique achievements such as high quality resource management and capable deployment of knowledge and technology for the service of mankind. This justifies it high reputation in India and the world. The performance of the Apollo group has garnered international acclaim which has inspired replication of its health care model at locations across the world. It is conducting talks with governments and private health care organizations in locations like South Africa, Nigeria, Mauritius, Tanzania, Muscat, Yemen, Vietnam, Bahrain, Thailand, Malaysia and other neighbouring countries. Indraprastha, New Delhi has achieved a major milestone being the first hospital in the country to get accreditation by Joint Commission International (JCI) of USA which is the first international accreditation for an Indian hospital. Accreditation implies that the hospital follows best practices in a safe environment such that the patient is secure in ‘safe hands’. Accreditation by JCI is the Gold Standard for European and American hospitals as it reflects delivery of high quality care and safety for patients. It has world class, cutting edge infrastructure. Highly dedicated and expert clinical team of health care professionals. Best possible outcomes through clinical pathways. Excellence in specialties and allied services. Focus on medicine based on evidence. The best nursing care in the country. Nurse to patient ratio according to global norms. Set benchmarks against the best centers of the world. Standardization or tracking of best practices. First hospital in the country to get JCI accreditation, which is the global benchmark in quality of health care. It is also the first to be re-accredited in 2011 and 2008. In 1998, it became the first Indian hospital to conduct a pediatric liver transplant. In November 2008, the Week magazine rated it as the best private medical hospital in India. It has one of the best Units for organ transplant in the country. It conducts the largest number of transplants by a single hospital in the country and is one of the busiest organ transplant centers in the world. It has the most number of ICU (critical care) beds in a private hospital in India. It has the biggest sleep lab in all of Asia. It has top class cosmetic clinics which provide high quality cosmetic and plastic surgery. Indraprastha is also a leading Apollo cancer hospital Delhi. These are some sound facts about Indraprastha Apollo hospital in New Delhi.